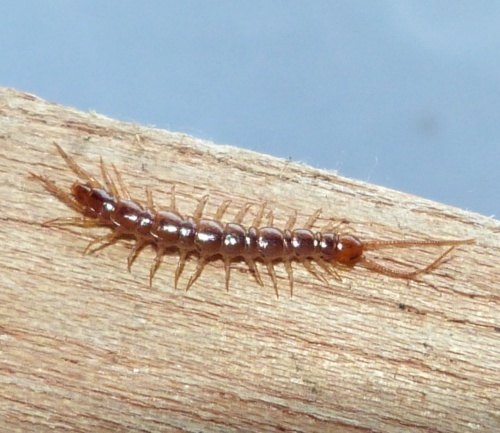 A medium sized (to 17 mm) light or mid brown centipede with a darker central stripe. The legs are not striped. 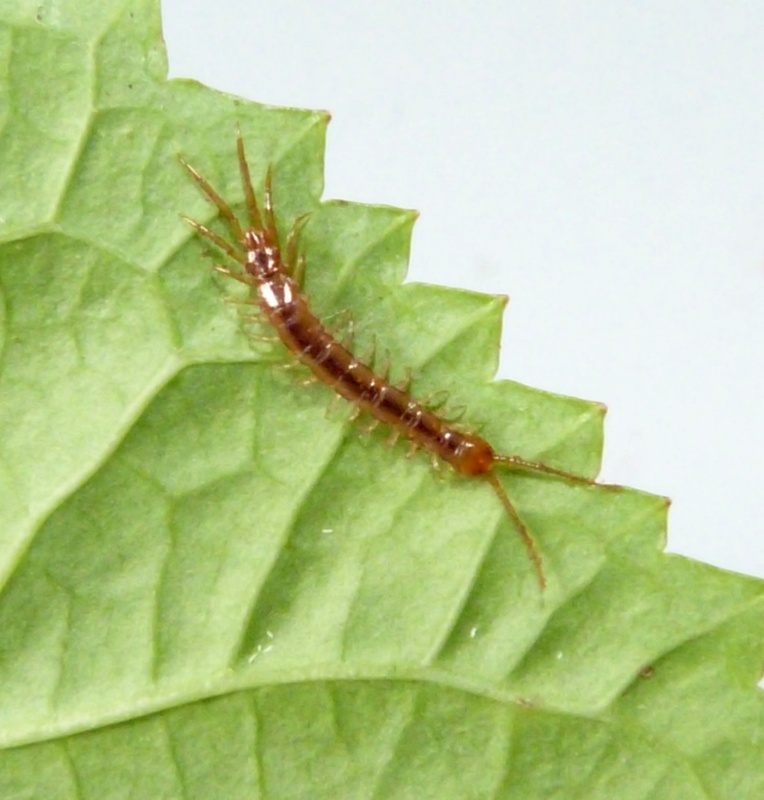 It is typically found in drier places, such as under bark on trees and on walls, but also occurs on the ground, under stones etc.